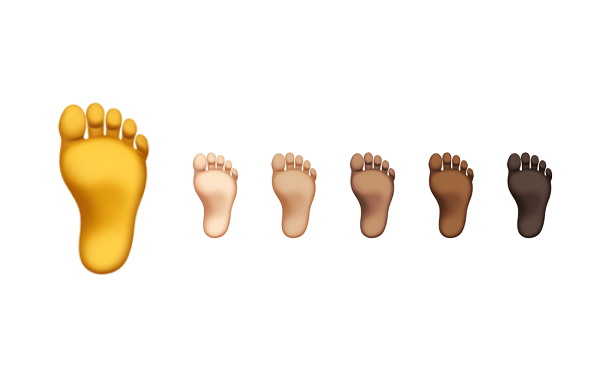 Apple has unveiled new foot emojis that some are describing as inaccurate and apparently “overthinking diversity.” Similar to other emojis of various body parts, the foot emoji comes in six different shades for inclusivity. The one with with the darkest skin tone however, is being dubbed as unrealistic. Instead of having a paler shade than its top, the bottom is displayed in as dark a skin tone, which doesn’t occur in reality. Another explained, “There’s no emoji showing the top of a foot so the only way to make a foot for everybody is to make the entire foot black. Twitter be turning everything into a problem.”.